Marriage and weddings are not the same. I think we often lose sight of this. *Please note that when I say “we” in this I mean society or TLC… your choice. Weddings are a representation of your future lives together, the beginning stages of your marriage. I am open about almost all subjects, however, Stephen and I are private people when it comes to our relationships’ dynamics. We are really good at talking out situations and do not stew on topics because we discuss them rather quickly. We believe that we are in “this” together and are driven to build a life and family that fits our vision of love and support. Our wedding was representative of our dynamic. 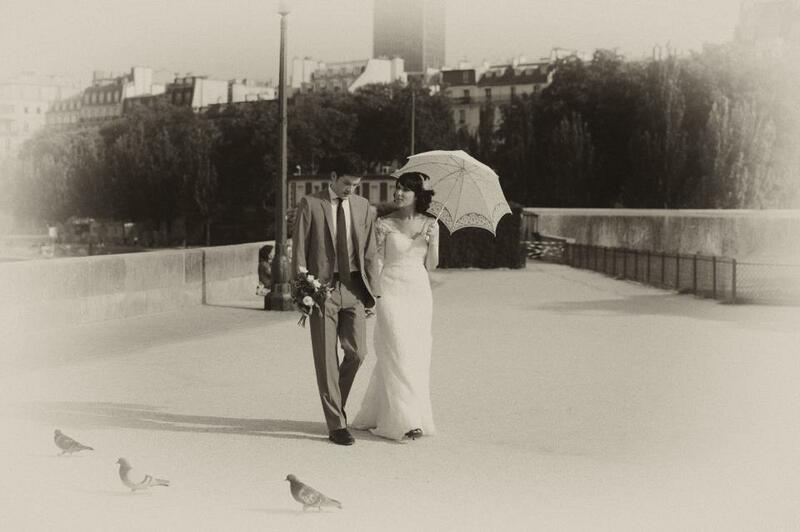 Stephen and I chose to skip the TLC wedding shenanigans and get married by ourselves in Paris. We did not have any family attend. It was Stephen and I, celebrating our love on our terms. I will never regret our decision to exchange our personal vows in privacy behind the Notre Dam Cathedral. Like our marriage, our ceremony was serious, beautiful, romantic, personal, honest, genuine, and authentic. Of course, like marriage, there was a bit of silliness thrown in after the vows when Stephen said “mawage” over and over to me throughout the night.